For the past two years around this time, CL has taken a look at various top titles that still weren't available on DVD. As we noted in the first installment, "With the explosive advent of the DVD home entertainment format... it's not unreasonable to assume that most of cinema's big titles have long been available for consumers to enjoy. But that's hardly been the case." In that first roundup two years ago, we cited 50 movies that weren't yet available on DVD, including biggies like Schindler's List, Bambi and La Dolce Vita. Those titles have since been issued on disc, along with many others: Of those initial 50 films, 34 are now available on DVD (actually, one's still on its way: King Kong, due November 22). In the second roundup a year ago, we mentioned 15 more unavailable titles -- of that crop, only seven have since been released. All told, 24 of the 65 films plugged by CL are still not available on DVD. The reasons are varied. For one thing, studios naturally pay more attention to preparing DVDs for recent theatrical features than for old catalogue titles -- as painful as it may be to absorb, more people will invariably buy or rent the DVD for, say, Christmas With the Kranks or Monster-In-Law than for Gunga Din or Ninotchka. Another reason is that a select few DVD outfits -- most notably Warner Bros. and Criterion -- do go that extra mile in treating their classic titles with respect. Therefore, to make sure their finished products won't disappoint fans, these groups take their time, recording new audio commentaries, shooting new documentaries and combing the vaults for invaluable extras. Whatever the reasons, it's a safe bet that the format's continuing popularity will insure that most older pictures of note will eventually make it to DVD at some point. For now, here's a checklist of the aforementioned 24 movies yet to make it to disc, followed by a look at 20 additional MIA titles. Greed (1925), Erich Von Stroheim's silent -- and butchered -- classic, recently the beneficiary of a restoration process that upped the running time from two to four hours. Wings (1927), a drama about World War I pilots -- and the very first Academy Award winner for Best Picture. Island of Lost Souls (1933), with Charles Laughton headlining the best of the various screen adaptations of H.G. Wells' The Island of Dr. Moreau. 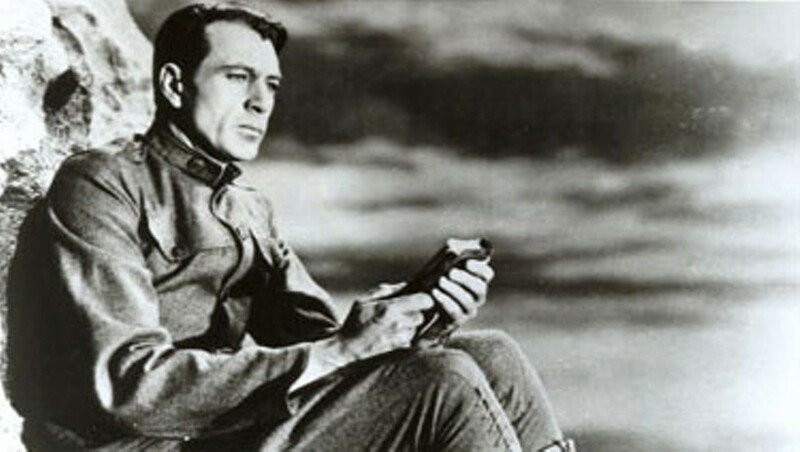 Sergeant York (1941), featuring Gary Cooper's Oscar-winning performance as the pacifist who became a World War I hero. The Magnificent Ambersons (1942), Orson Welles' follow-up to Citizen Kane, a lavish adaptation of the Booth Tarkington novel that was severely truncated by the studio. Song of the South (1946), now-controversial Disney feature that mixes live-action and animation as Uncle Remus (James Baskett) spins yarns relating the exploits of Brer Rabbit. The Heiress (1949), exquisite period drama showcasing Olivia de Havilland's Oscar-winning portrayal of duped spinster. The Gunfighter (1950), critical favorite with Gregory Peck giving one of his finest performances as Jimmy Ringo, an aging gunslinger trying to leave his notorious reputation behind. The African Queen (1951), John Huston classic for which Humphrey Bogart won his only Oscar, as a drunken riverboat captain verbally sparring with fussy Katharine Hepburn during World War I.
Abbott and Costello Meet Dr. Jekyll and Mr. Hyde (1953), with the boys pitted against Boris Karloff in one of the few prominent A&C comedies not yet available on DVD. Lust For Life (1956), perhaps Kirk Douglas' finest hour, as he delivers an impassioned performance as tortured artist Vincent Van Gogh. The Incredible Shrinking Man (1957), popular sci-fi yarn with excellent special effects. Some Came Running (1958), classic melodrama with Shirley MacLaine breaking hearts as the pitiable party girl who falls for returning vet Frank Sinatra. Porgy and Bess (1959), George Gershwin opera about the poor folks on Catfish Row -- and the film on this list least likely to ever show up on DVD (Gershwin wasn't pleased with this adaptation, and his estate has kept it out of circulation for decades; it's never even been available on video). Frankenstein Meets the Space Monster, a.k.a Mars Invades Puerto Rico (1965), perhaps the worst movie ever made, and therefore worthy of DVD immortality. Conqueror Worm, a.k.a. The Witchfinder General (1968), gripping cult favorite with Vincent Price as a sadistic witch hunter. Beyond the Valley of the Dolls (1970), notorious camp outing co-written by Russ Meyer and Roger Ebert. Let It Be (1970), with John, Paul, George and Ringo all taking home Oscars (for Best Original Song Score) for this behind-the-scenes documentary that follows The Beatles as they record the title album. 1900 (1976), Bernardo Bertolucci's sprawling Italian saga starring Robert De Niro, Gerard Depardieu and Burt Lancaster. Reds (1981), Warren Beatty's awesome, Oscar-winning epic about American Communist John Reed, set against the backdrop of the Russian Revolution and largely focusing on his relationship with Louise Bryant (a superb Diane Keaton).